As the Les Schwab Amphitheater Summer Concert Lineup for 2019 continues to develop, we can’t contain our excitement. This lineup promises a memorable summer of live music in Bend and with Sunriver located a short 20-minute drive away you can experience it for yourself during your vacation. Imagine spending the day soaking up the sun, playing with the family at SHARC and then heading into Bend to rock out to Michael Franti & Spearhead and Ziggy Marley. Sounds like the perfect vacation to us! Critically acclaimed singer-songwriters Jason Isbell and Father John Misty team up for a co-headling tour. Jason Isbell & The 400 Unit have won four Grammy’s and are currently touring behind their latest album “The Nashville Sound”. Isbell plays Americana and roots rock. Father John Misty is currently touring behind his latest album “God’s Favorite Customer”. Misty’s songwriting favors directness and bittersweetness without sacrificing wit or his taste for the absurd. Jade Bird opens the show. As one of the most respected hip-hop groups in the business, The Roots have won four Grammy’s and are the official house band of The Tonight Show with Jimmy Fallon. Rolling Stone magazine named The Roots one of the great live bands around and for good reason. Get your tickets early for this show, as it will likely be a popular one and may sell out! For the ultimate chill, laid-back summer vibe, you’ll want to head to the Les Schwab Amphitheater and groove to the reggae jams of Rebelution and guests Collie Buddz, Durand Jones & The Indications and DJ Mackle. The reggae band’s latest album integrates influences of R&B, folk, and soul to expand upon their Jamaican sound. Michael Franti & Spearhead have become a summer fixture at the Amphitheater for many years. 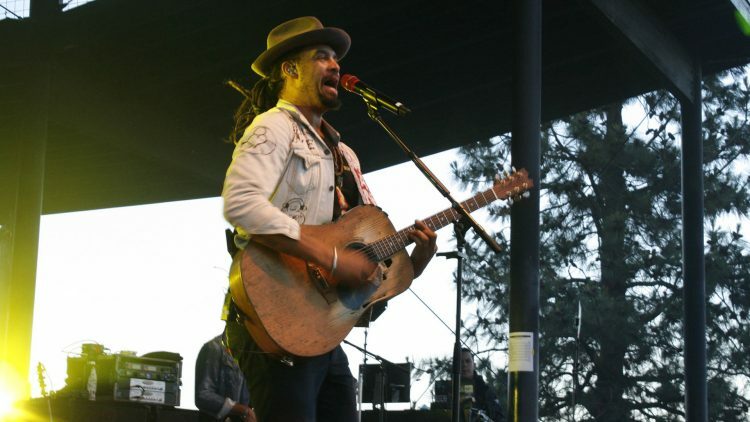 This summer, Franti plays a co-headlining tour with reggae icon Ziggy Marley, with each band playing full sets. Plan for an evening of good vibes and love if you attend this show! This summer, the Les Schwab Amphitheater welcomes back country singer Lyle Lovett and His Large Band. The singer-songwriter has been active since 1980 and has recorded 13 albums. He won Grammy awards for Best Male Country Vocal Performance and Best Country Album. Lovett blends country with bluegrass, swing, jazz, and rock to create an easy listening sound. Slightly Stoopid leans toward more of a reggae sound, but really are an eclectic band when it comes to styles and collaborations. Expect positive party energy at this show, which also includes performances from rock-reggae band Tribal Seeds, Matisyahu (a Bend favorite) and HIRIE. The Avett Brothers achieved mainstream success with their 2009 major label debut “I and Love and You” and continue to sell out amphitheaters all over the country. Check out The Avett Brothers if you have a preference for Americana and folk music. The irresistible Lake Street Dive opens the show for a memorable evening of music along the Deschutes River. Singer, songwriter and actor Josh Groban brings his soulful voice to the Les Schwab Amphitheater for the first time this summer. Groban sings easy listening, operatic pop songs that lean towards soft rock and pop. His voice is often described as a baritone or tenor, but one this is for sure, it’s beautiful. Gary Clark Jr. has become known for wowing audiences. He loves everything and wants to play everything, which has led to a gritty and sweet combination of influences that ooze soul from Clark’s vocals. He studied alongside the greats like BB King, Miles Davis, and Parliament-Funkadelic. Fans of Clark’s love his style as it blends blues, rock and soul music with elements of hip hop. As of the end of March, this is the Les Schwab Amphitheater summer concert lineup for 2019. We’re hoping for more concert announcements in the coming weeks, fingers crossed. We’ll keep you updated on this blog with the complete lineup as it’s finalized. Plan your Sunriver summer vacation around these great live music concerts at the Les Schwab Amphitheater in Bend. The Amphitheater boasts a stunning location on the banks of the Deschutes River in the Old Mill District. Easily commute into Bend for a concert at the Amphitheater and make an entire evening out of it by dining at one of the excellent restaurants in the Old Mill. Sunset Lodging in Sunriver has been a reliable source for Sunriver vacation homes and property management for more than 30 years. Sunset Lodging is family-owned and operated. Our service sets us apart. Subscribe to get updates on Sunriver events, new vacation rental homes, special lodging discounts and more.